$2.50 per pack. Available at Sheng Siong and FairPrice supermarkets, including FairPrice Xtra Ang Mo Kio. Fish Muruku is one of those snacks that look so outdated that it’s actually kind of hipster-chic. 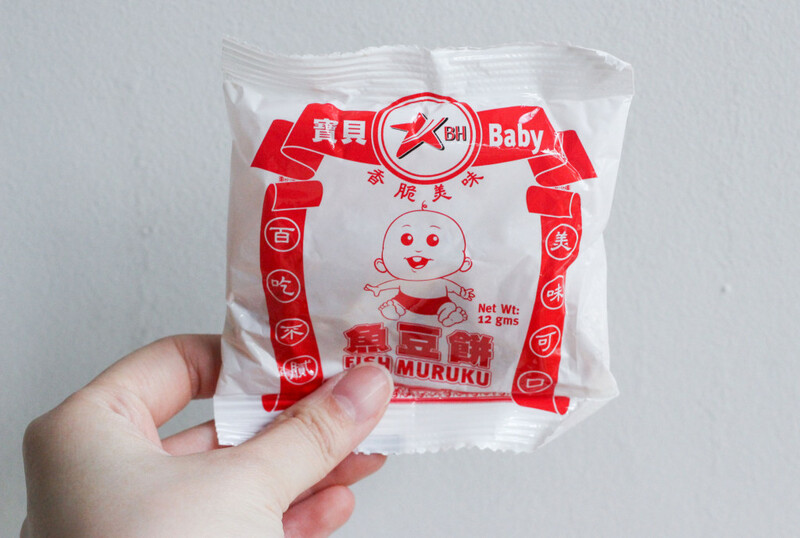 From the simple red and white packaging to the trademark laughing baby (although…why does he only have one strand of hair on his head I mean come on guys), Fish Muruku is as old school as it gets. Taste-wise, Fish Muruku has the same savoury flavour as fish ball crackers, but perhaps with a bit more spice. 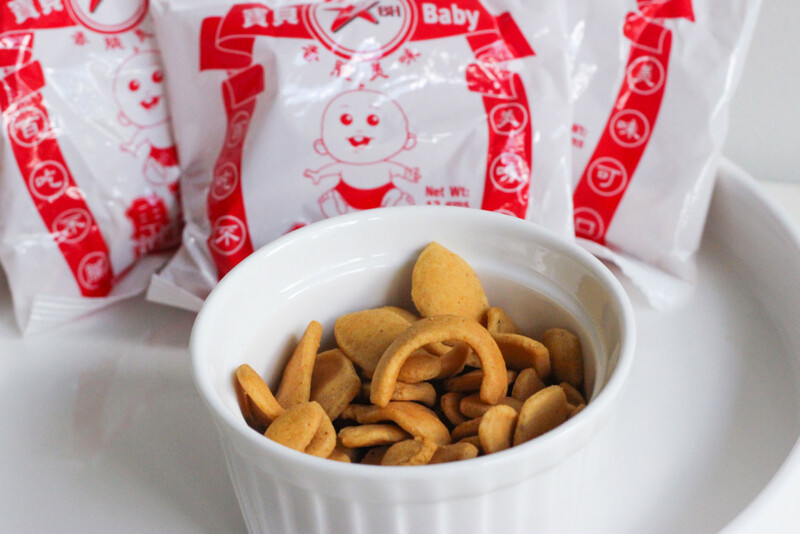 The crunchy bite-sized crackers are also not as oily or salty as traditional keropok or fish ball crackers, so this is a good option for those who want something a bit lighter. You know how eating prawn or fish ball crackers can make you extra thirsty? Yea, these won’t do that to you. $2.90 per pack. Available at FairPrice supermarkets, including FairPrice Xtra Ang Mo Kio. Okay okay, I know these look kind of dodgy but trust me, they’re good. Whatever Pei Tien Energy 99 Sticks lacks in packaging (or name), it makes up for in taste. 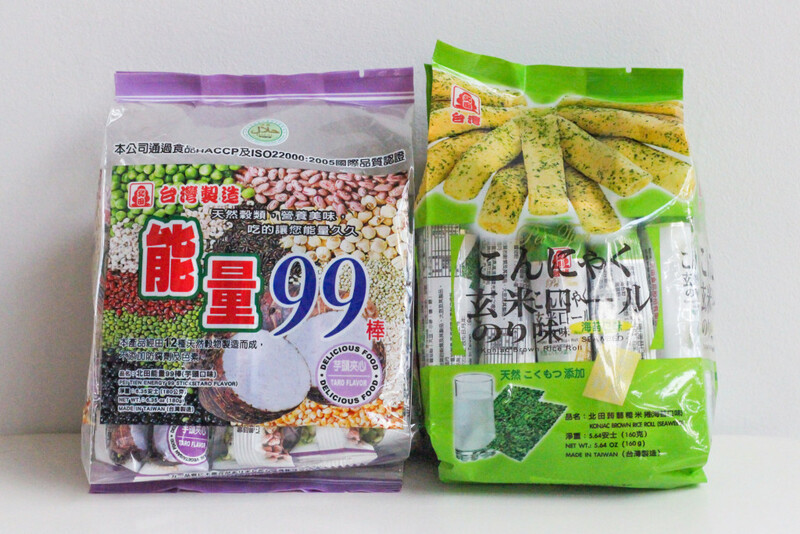 The Taiwanese snack is supposedly made from different types of grains, but it tastes more like rice crackers. Texture-wise, it’s quite similar to Twisties or Cheetos…but upsized, of course. 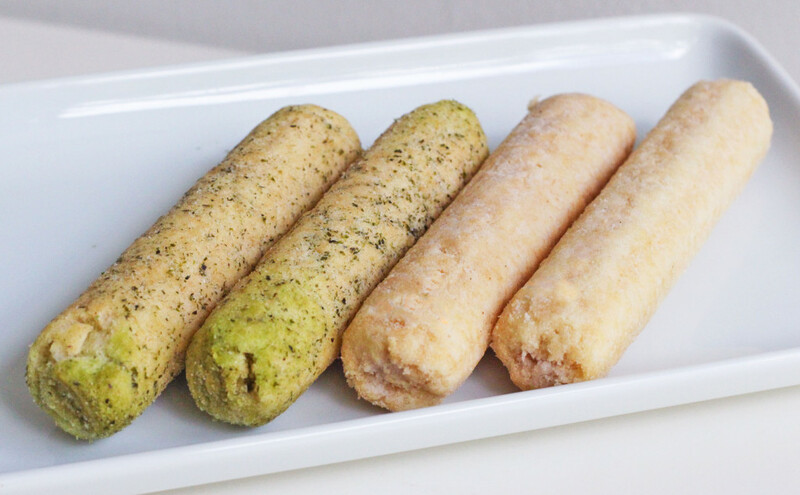 There are several flavours and variations in the range, but the Taro and Seaweed Konjac Brown Rice Roll seem to be the most popular ones. The Taro has a hint of sweetness mixed in with the savoury, while the Seaweed one is more on the saltier side. 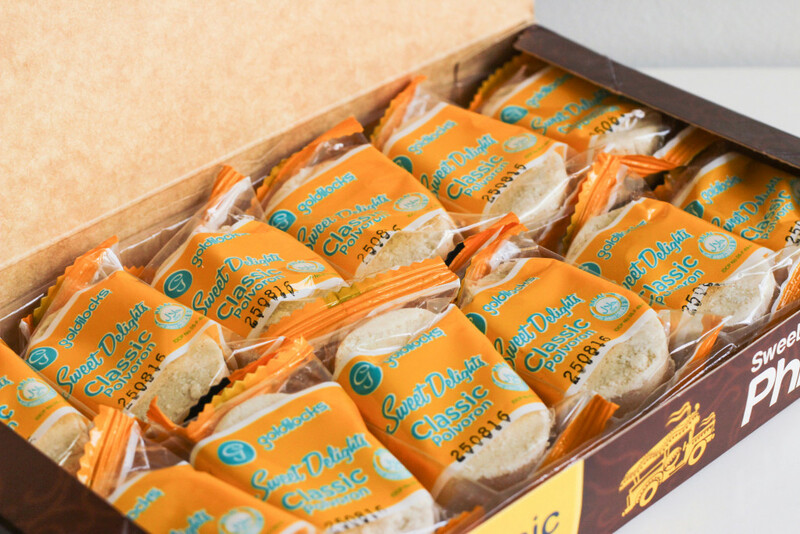 The rolls also come in individually-wrapped packages, so they make for a good snack on the go. Sort of like an Asian granola bar, if you will. $2.85 per pack. Available at Giant supermarket. 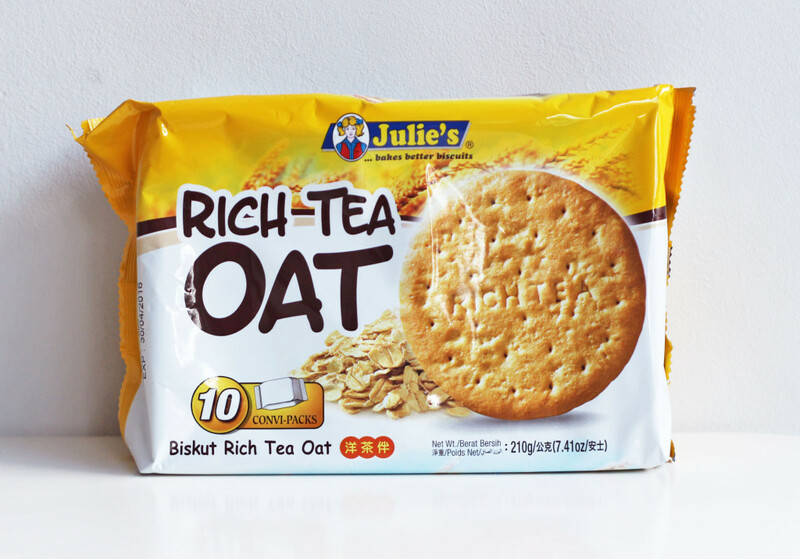 Granted, Julie’s isn’t exactly a gourmet brand but the Rich Tea Oat Biscuits actually taste better than some other pricier options in the market. There’s always something comforting about oat biscuits – especially if you have a sensitive stomach – and these definitely do not disappoint. 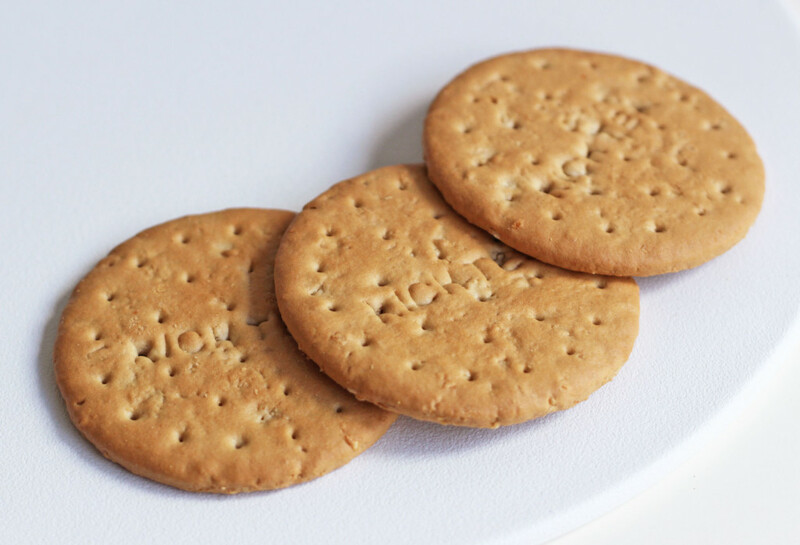 Although they are light on the palate (and stomach), the Rich Tea Oat Biscuits are still flavourful and surprisingly satisfying. Dip them in a cup of warm Milo for an extra kick. Besides Rich Tea Oat, Julie’s Oat range of biscuits also includes several other flavours such as Strawberry, Chocolate and Ten Grains. 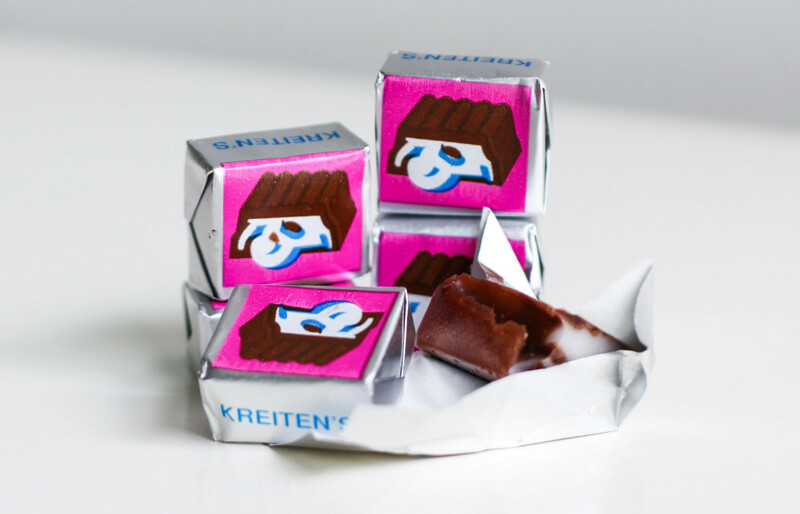 They are all mostly quite good as well, but give the Chocolate flavour a miss (unless you like your snacks cloyingly sweet). $1.95 per pack. Available at Giant and FairPrice supermarkets. 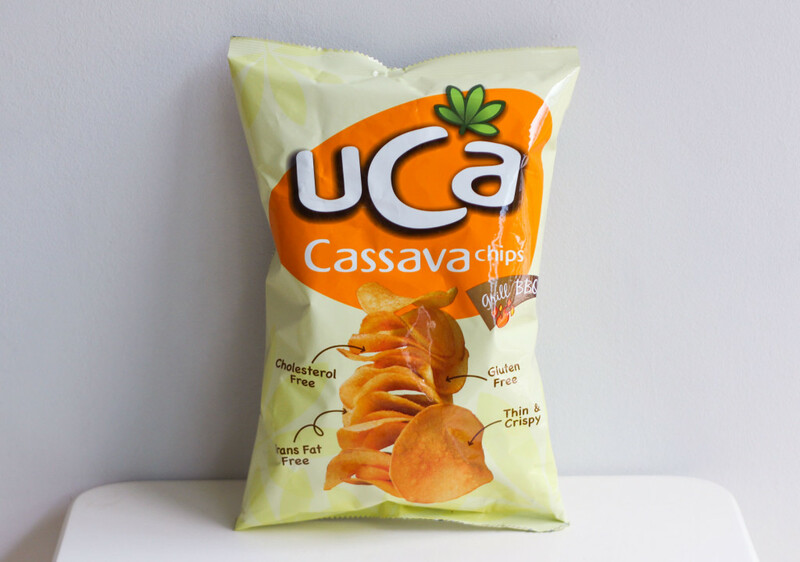 Step aside overpriced (and overrated) gluten-free chips – UCA Cassava Chips is where it’s at. And in case you were wondering, Cassava is actually a type of Brazilian arrowroot that is similar to yam or sweet potato. While the packaging may not look as appealing as your typical American or British gourmet snack brands, Tai Sun’s UCA Cassava Chips are actually pretty damn good. Plus, they’re gluten-free, cholesterol-free and trans fat-free, so I’m assuming this is a healthier alternative to regular potato chips. There are a few different flavours in the UCA Cassava Chips range, but the Grill BBQ one is a personal favourite. 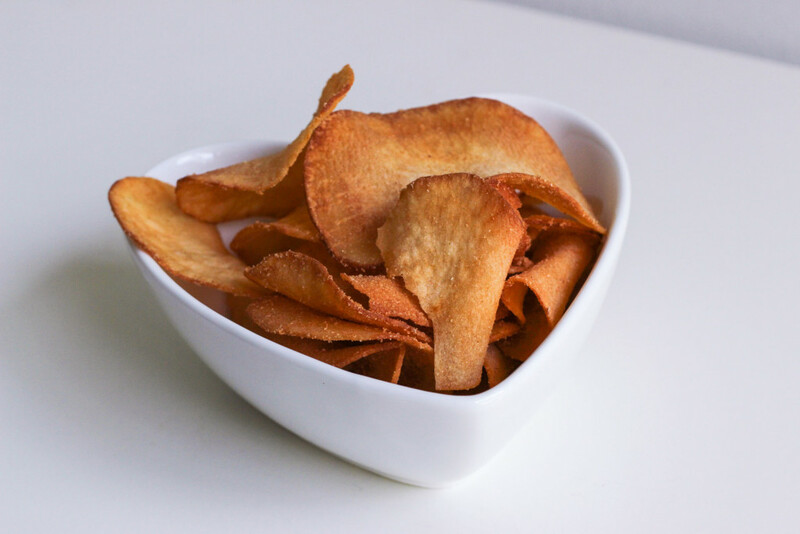 The thin and crispy chips have a smoky flavour reminiscent of Lay’s Barbecue Chips, but perhaps less oily and salty. Also, at only 50 calories per serving (10g), you’re probably better off eating these than regular potato chips. $7.35 per box. Available at Giant supermarket and selected stores at Lucky Plaza. Polvoron may look really plain and simple, but it actually packs quite a punch. 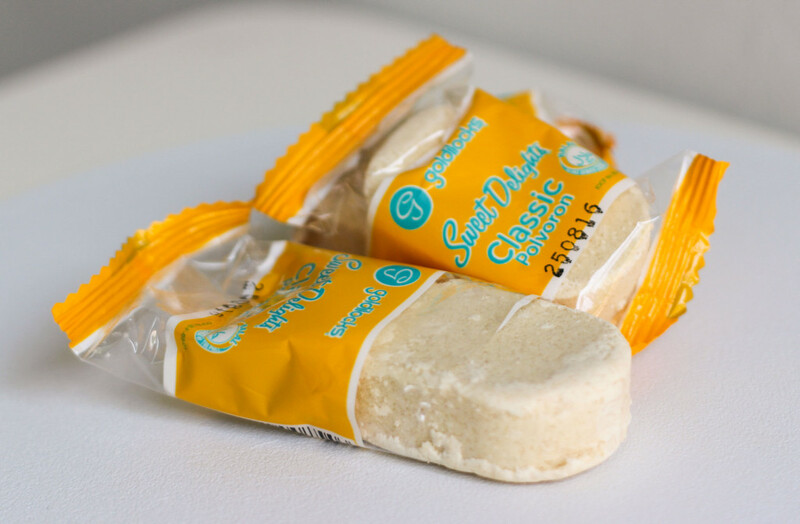 The shortbread cookies, which hail from the Philippines, are a decadent melt-in-your-mouth treat that leaves a pleasant buttery aftertaste. Be warned though – Polvoron can be quite sweet, so stick to one piece a sitting to avoid the potential sugar rush (trust me, I say this from experience). Polvoron doesn’t seem to be very readily available in Singapore, but you can find it at Giant supermarket (Turf City) or selected stores in Lucky Plaza. 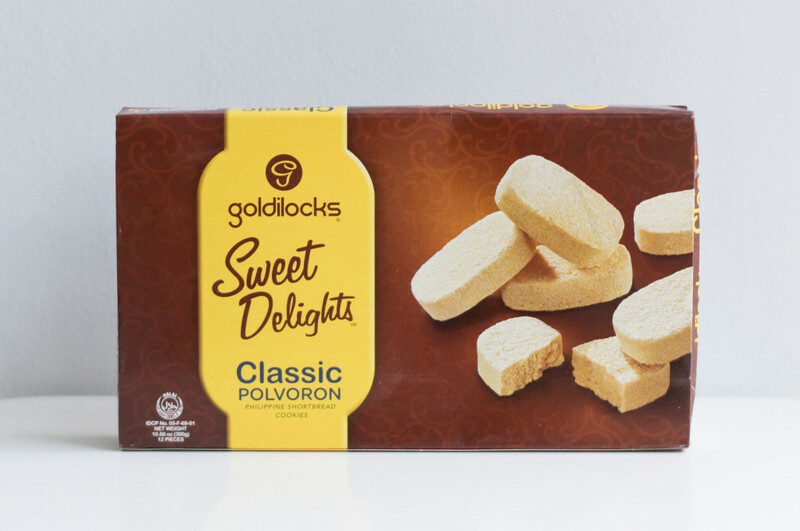 If you are ever in the Philippines, I insist you buy multiple boxes of Polvoron to bring home (and perhaps even send me a box or two – I will be eternally grateful, I assure you). $2.35 per pack. Available at Giant supermarket. 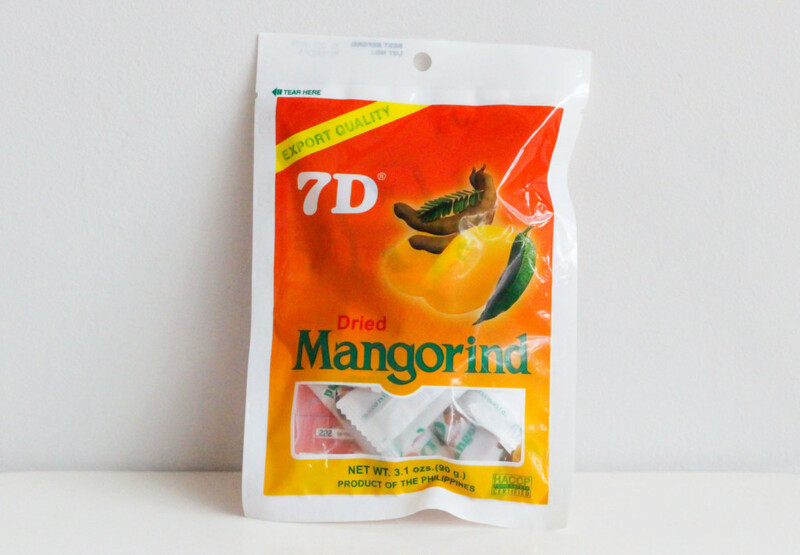 You’ve probably heard of 7D Dried Mangoes, but the brand’s lesser known Mangorind is actually just as good, if not better. For one, you don’t have to deal with random mango fibers getting stuck in your teeth, or biting into dried mango pieces that are as hard as beef jerky (sadly this happens all too often). 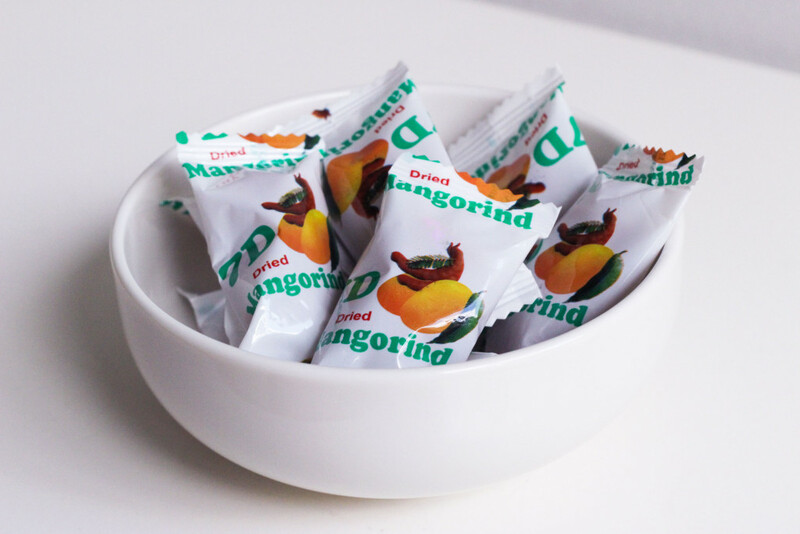 Dried Mangorind is the candied version of Dried Mango, and is soft like a gummy sweet. It also contains Tamarind, which balances out the sweetness of the mangoes with just enough sourness to tickle your palate. 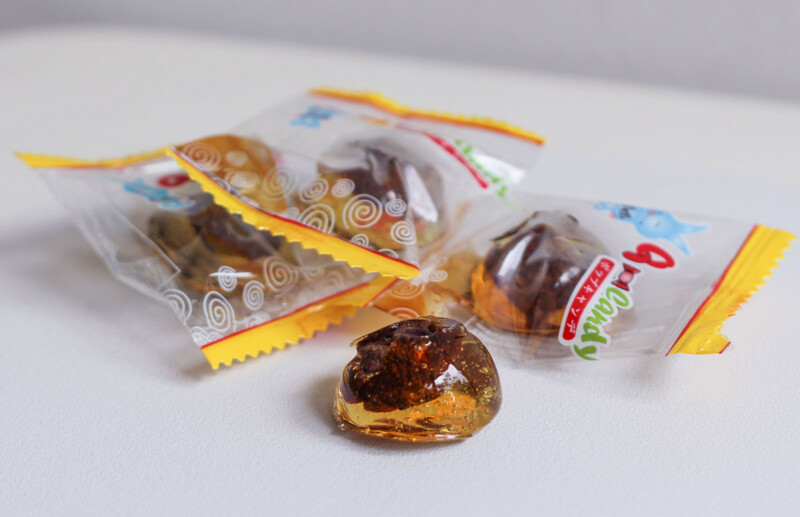 The candies are also individually-wrapped, so stash some at your desk or in your bag for when you need a quick sugar boost. Try to keep them in a cool place though, because they can get quite sticky when the sugar coating melts. $2.60 per pack. Available at Sheng Siong and Giant supermarket. 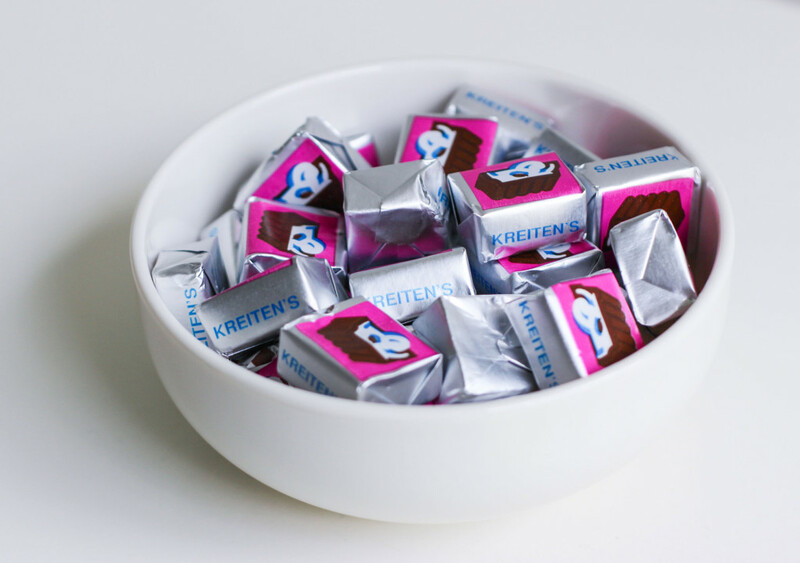 There’s something about soft and chewy sweets that brings back fond childhood memories (like trying to dislodge a wobbly tooth with a sticky toffee), but nostalgia aside, these toffees are little bite-sized pieces of chocolatey goodness. Despite being full of sugar (because who are we kidding here right), they are also surprisingly not as heavy as one would expect. Go on, you’ll be surprised at just how addictive these can be. $2.10 per pack. Available at Sheng Siong and Giant supermarket. 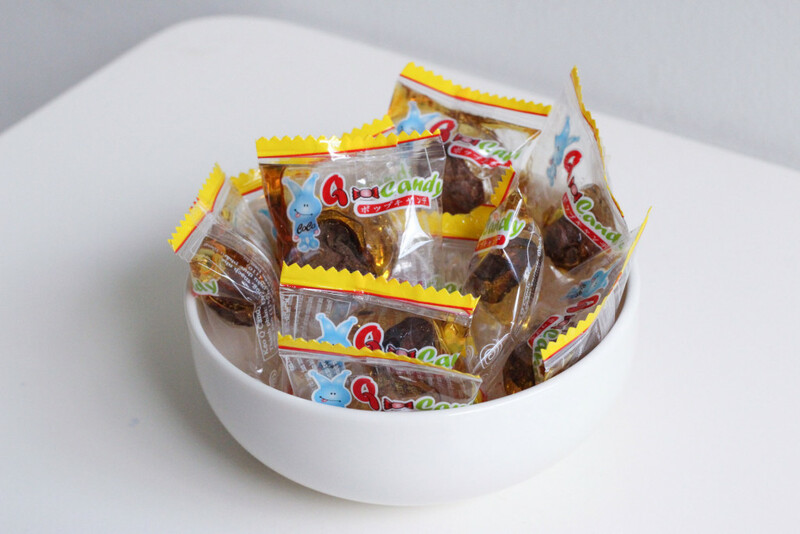 Plum Candy has been around for a long time, but sadly it doesn’t get as much credit as it should. I don’t know whose idea it was to cover a preserved plum with a coat of honey, but it’s downright genius. Preserved plums on their own can be too sour, but the honey coating balances it out with a welcome burst of sweetness. In fact, the harmony of sweet and sour is actually quite pleasant on the palate. The next time you’re craving something sweet after dinner, skip the heavy dessert and pop one of these instead. The honey will satiate your cravings, while the sour plum will aid digestion. A very auntie thing to note, but well, aunties know best no? The only downside to these is that the honey tends to melt (and get sticky) in our warm weather, so remember to refrigerate before eating.